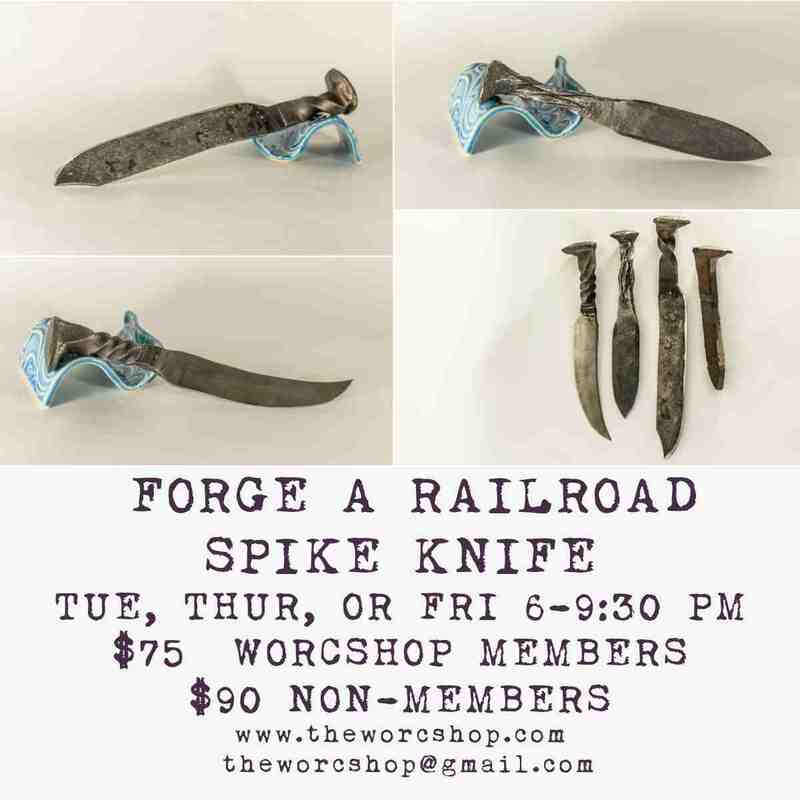 In this 3.5-hour class, students will learn the basic techniques of making a blade, using a railroad spike. The importance and safety aspects of being able to properly hold onto hot metal will be discussed. Students will have the opportunity to make one knife of their own, as well as gain the knowledge of modifying and making more in the future. If the class does not reach minimum enrollment 3 days prior, it will be canceled. Students will have the option of transferring their ticket to another class or receiving a refund. Please provide us with BOTH a contact number & email to ensure you are properly notified of course changes. Class Requirements: Appropriate shop clothing: (natural fiber clothing, long sleeves/ jeans is the typical minimum recommended) closed toe shoes (leather steel toe boots recommended). HOW TO FIND US! Turn in at the Blue Hive parking lot (233 Stafford St.) drive to the back of the lot and turn right to go behind the building. There will be a large garage door. The entrance to the WorcShop is the door on the right with the blue awning.